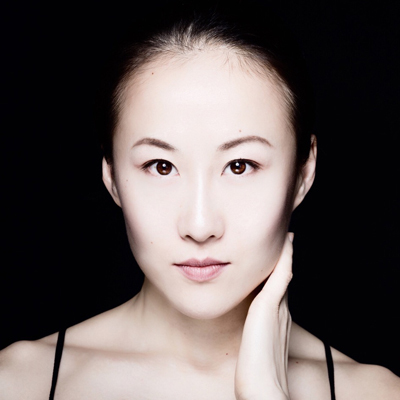 Artistic Director Yin Yue of YYDC is a versatile performer and choreographer. Born and raised in Shanghai, China, she studied classical ballet, Chinese classical and folk dance at Shanghai Dance School, where she received rigorous training in all aspects of the technically demanding and highly structured Chinese dance. She continued her education at Shanghai Normal University and by the end of her university training she had appeared in many festivals and dance performances throughout China. In 2005, she was ranked among the top ten performers in the National Dance Competition in Yunnan. Intent on further developing her artistic talents, Yin moved to New York City to pursue MFA in contemporary dance at New York University. After graduating with a MFA in dance from NYU's Tisch School of The Arts in 2008, Yin Yue quickly started to gain attention as a highly original choreographer and performer among her peers. Yin created an innovative contemporary dance technique - FoCo (FolkContemporary) Technique that soon gained the attention of the dance world. The movement style of YYDC FoCo consists of five elements: root, wood, water, metal and fire. Each element contributes to the quality of moving and its designated body parts. The technique trains dancers to create a grounded, circular, fluid and dynamic performance that is rhythmic and powerful, yet sensual and graceful. The main themes of Yin's work are emotional experience, contrasted movement dynamic and strong physicality in all their complexity. In 2016, Yin Yue received Artist in Residence from 92Y. She won first place in Choreography in Shanghai Professional Dance Competition. She is also winner of Hubbard Street Dance Chicago International Commissioning Project 2015 and winner of 2015 BalletX Choreographic Fellowship and winner of Northwest Dance Project 5th Annual Pretty Creatives International Choreographic Competition 2013 and received commissions from all three companies. She was selected as Emerging Choreographer of 2015 Springboard Danse Montreal, finalist at The A.W.A.R.D Show 2010! presented by New York The Joyce Theater Foundation. Yin Yue founded Yin Yue Dance Company as a New York City based contemporary dance ensemble, consisting of collaborative team of freelancers, presenting original work incorporating variety of contemporary dance styles and concepts, and collaborating with composers and designers. The company’s mission is to explore strong physical movement; investigate the subtle yet powerful visual images, athletic and sensual movement quality; to develop and promote company's innovative dance style "FoCo Technique"; to utilize the honest and direct gestures to explore the unique personality and universal emotion of each performer. 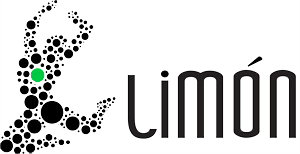 The company has been recognized by organizations and festivals such as schrit_tmacher Just Dance Festival 2016, New York International Fringe Festival, Jacob’s Pillow Dance Inside Out Festival, The Wave Rising Series, DUMBO DANCE Festival, The Current Sessions, Dancenow [NYC] at Joe's Pub and many more. In addition, YYDC has performed at venues such as Joyce SoHo Theater, Peridance Theater, Lincoln Center Rosh Hall, Peridance Capezio Theater and New York Live Arts and many others. In January, 2013, the Company has produced its first evening-length dance production titled "Within Reach" and toured to China. To date, the company has produced three feature-length works, all of which premiered in NYC: "We Have Been Here Before" (2012), "Within Reach" (2013) and a collection of ensembles, duets and solos, presented under the common title" An evening of Yin Yue Dance" (2014) presented by Dixon Place. In March, 2016, the company took 90 min dance program toured to Aachen, Germany as part of schrit_tmacher Just Dance Festival. Yin Yue currently holds the position of Artistic Director and residency choreographer at Jiangxi Zhongshan Dance School. Founded in 1996 and located in Nanchang in Jiangxi province in China, the school is the only private-run educational organization ranked among top Chinese professional dance schools. Its curriculum includes a 6-year Chinese dance and ballet program. Yin Yue Dance Company Artistic Director Yin Yue Rehearsing and Teaching reel from Yin Yue Dance on Vimeo.